Vigils and protests for our slain comrade and friend Sabeen Mahmud are taking place in different cities of Pakistan and around the world. Anyone is welcome to submit online responses to the blog Sabeen Mahmud: A Tribute. In Boston, students have organized a vigil for Sabeen on Tuesday, April 28, 7.30 pm at the John Harvard statue in Harvard Yard (Facebook Event). In Pakistan, friends are meeting at Press Clubs in Karachi, Lahore and Islamabad to register their protest. Bring an apple. Or a Beatles or Steve Jobs poster. Or Farida Kahlo or Farida Khanum, Faiz, Farid Ayaz… all the things she loved. Black armbands. She loved strong visual statements. A lot has been written about who she was, what she stood for and why she was targeted. My offerings, with a heavy heart: Onpoint with Tom Ashbrook on NPR; in in Scroll: You refused to cower in silence’: A letter to a fallen Pakistani comrade; and In Pakistan, This Activist Was Martyred for Her Moderation in the Daily Beast co-authored with Asra Nomani. Pakistani analyst Cyril Almeida’s oped Blood and Balochistan in the mainstream daily Dawn. “A tediously good piece by Cyril Almeida on #Balochistan; good because it’s the truth, tedious because nobody cares,” to quote Ali Dayan Hasan, former Pakistan head of Human Rights Watch. And not least, a moving account of Sabeen’s funeral by a friend in Karachi, below. Today was a hard day! We had to say goodbye to a person who was an inspiration, a mentor, a friend and a beacon of hope for many of us. Last night Sabeen Mahmud was cruelly snatched from her family, friends and fans. She was fatally shot as she left T2F, her brainchild and her passion, with her mother. Her mother was also critically injured. With her beautiful welcoming smile and her sparkling eyes, Sabeen had the knack of making people feel special and sparking a hope for better things to come! I met her at the Karachi Literature Festival at a session she was facilitating. She was amazing and I was impressed. Later through the year we ran into each other at various civil rights protests and events organised to engage people in thinking about the civic problems. To me she became the symbol of the city I had returned to after 17 years abroad. Bright, vivacious, interesting and challenging! She was a bright intellectual with a heart of gold and a down to earth attitude. 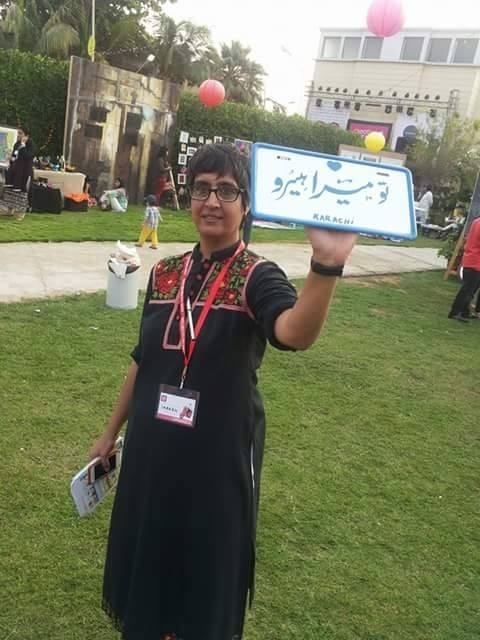 Fearless about upholding what was right and passionate about helping victims of injustice, Sabeen’s dream was to engage people in open dialogue to promote critical thinking to create a stable, prosperous and egalitarian Pakistan. T2F provided the community space for such interactions and events. 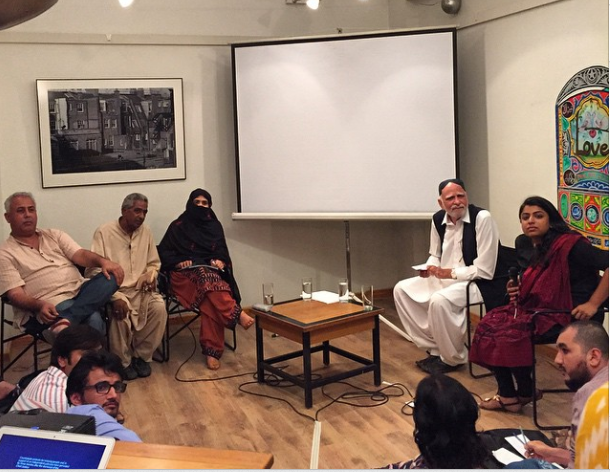 Last night’s event hosted there, Unsilencing Balochistan Take 2: In Conversation with Mama Qadeer, Farzana Baloch and Mir Talpur proved to the last one ever to be led by her. She paid the price of raising her voice by making the ultimate sacrifice, that of laying down her life for her beliefs. 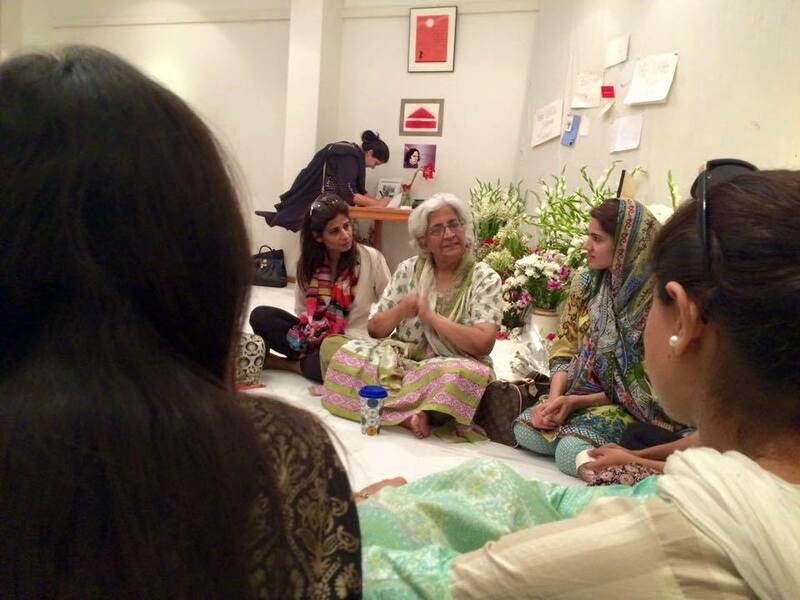 The session was held at T2F and that is where Sabeen’s friends came to bid her goodbye this afternoon. T2F is where Sabeen’s mother Mehnaz Mahmud, an early childhood educationist, sat and met all the people who had come to pay homage to her slain child. She sat there with bullet injuries and consoled those who had come to console her. A strong mother of a strong daughter, her resilience, fortitude and stoic calm were remarkable. It is hard to fathom what turmoil she must be going through inside as she bade farewell to her only child. An educationist and a progressive activist, Sabeen was forever a trendsetter, be it through the hackathon organised under Peace Niche, or the poetry readings, live theatre, book readings and other events hosted at T2F. Her voice was silenced and she was laid to rest today in a graveyard in her beloved city. Even in death she led people to challenge norms and set a new trend. Karachi saw an unusual sight this afternoon. The bier carrying Sabeen was followed by women in a large number, they came, the mothers, sisters, daughters of Karachi to pay homage to a fallen hero, one of their own. Women rode in the funeral hearse bus, and they said the funeral prayers. Then it was time to take Sabeen to her final resting place and they came there too. They walked to the graveyard, stood around the grave, the silent sentinels, tears falling but no sound escaping their lips till the end of the ritual, took part in all the funeral rites, covered her grave with flowers , the White lilies covering the traditional red roses another deviation from the norm, and prayed over her. With tears blurring my vision I kept thinking once again Sabeen has engaged us and is making us reflect and decide on acting on what we believe to be right. She was a leader and a mentor right to the end! Sabeen has left us but she has left a legacy, one that we must honour, that of raising our voice against injustice and making a positive difference. She lives on in every one of us! If only we learnt the lessons from the time of Bangla Desh independence. We then killed scores even hundreds of intellectuals in one round. They were writers, professors, mathematicians, philosophers. And now we are killing our intellectuals slowly in rounds after rounds of ‘singular’ deaths. It seems that we have learnt of torturing the nation so that the pain remains perpetual and eternal. Or we have learnt nothing.